A group of people is not a team. A team is a group of people collectively working towards a common vision. We’ve all heard the cliche’ sayings about team work: “team work makes the dream work,” or how about “T.E.A.M. – together everyone achieves more”? But the reality is many organizations don’t really understand what “teamwork” is. There are ideas of departments sacrificing for other departments for the greater good of the organization, or meetings where team members tell other team members about the good they’ve seen them do, as well as areas where they could improve. While there is nothing inherently wrong with those actions, there is much more to teamwork. In order for team work to exist a foundation for team work must be built, then communicated! An Unified Purpose: As elementary as this may seem, it is worth stating. Teams must have a purpose to rally around, and work towards together. The key is working towards the goal together. 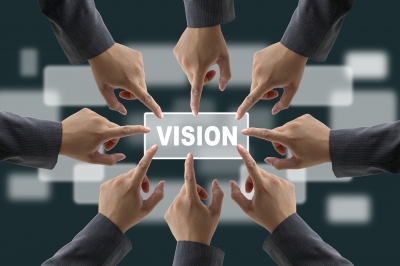 When the vision isn’t made clear, team members will freely work towards their own ends rather than the goals of the organization. There will be times when team members will work towards their own ends regardless, but with a clear vision it is easy to identify those who aren’t moving the team towards its goal. An Individual Purpose: No, this isn’t a contradiction, rather this is to solidify that individual team members must have an understanding of their own responsibilities. A successful team has different parts. In order for those parts to work together they must know how they individually fit in the scheme of the team. An Execution of Purpose: Once a team knows its over all objective, and members know their individual objective, there must be an expectation of how all the pieces are going to fit together, moving the team towards the goal. This is accomplished through an understanding of core values, and establishing a culture that makes it difficult to operate outside of those values. These three pieces are just the foundation of creating and executing teamwork. There could be a month long series on establishing these three, as well as building its frame work. How are you establishing unified purpose? How are you establishing individual purpose? How do you establish and communicate expectations?